Would you like to know the secrets of using the internet to find affluent clients? Would you like to educate and enlighten your whole group to "see the light" when it comes to attracting affluent clients. The internet is such a powerful medium for finding affluent clients, but so few people know how to tap into that power. 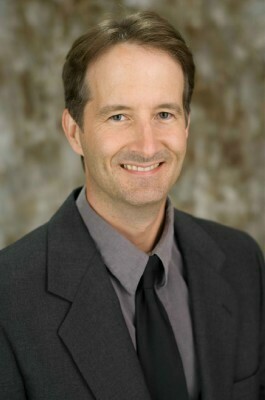 Internet marketing guru Rob Cross is an expert at finding affluent customers online. He shares the gold nuggets he has learned in over 8 years of consulting for company's like yours. The presentation is in easy to understand language and if some technical expertise is required to implement his suggestions, Rob provides inexpensive resources you can "outsource" tasks to. Rob describes (in detail) how to find quality overseas employees who will work for you or your staff for $2 an hour. He also describes what tools/web sites to use if you want to save a lot of time and energy managing your employees. You will learn how one person, who can only be at one place at one time, can transform into a team of people who know how to set up a system they can put on auto-pilot that will reach around the globe (very intelligently) 24/7 attracting the best clients. After hearing Rob's presentation, you will almost certainly realize all the money you have been leaving on the table. You are bound to say to yourself; "I wish my staff and I had learned these tools and techniques a long time ago". Rob's speech is focused on helping your group members find more affluent clients. His experience, tips and techniques are internet based, but also involve other mediums of marketing. Your group members should come away, educated, excited and equipped to find more affluent clients, more efficiently. Many members who used to be intimidated by the internet will understand what needs to be done regarding online marketing and that they can outsource a lot of tasks inexpensively. Rob has years of speaking experience. He has earned a toastmasters competent communicator certificate and continues to be an active member in that public speaking organization. He has spoken on numerous occasions in different states and is the author of the critically acclaimed book: "Insider Secrets: Finding Affluent Clients Online". The 80/20 rule of internet marketing. How to get 80% of the affluent clients for 20% of the work. Learn how to get people to be pre-sold before they even contact you. This is a focused and value filled 45 minute presentation. It cuts to the chase and lets your audience know the master keys of finding affluent clients online. It gives the tools, the techniques and the resources to get the marketing funnel going and set it on auto-pilot. There is a also a 15 minute question and answer period at the end. During this interactive presentation, Rob goes every more in depth and walks people through the techniques needed to find affluent clients online. This session is 1 hour and 15 minutes and has a 30 minute question and answer period. In this session Rob does a brain transfer of his favorite techniques for your group and teaches you his secrets. 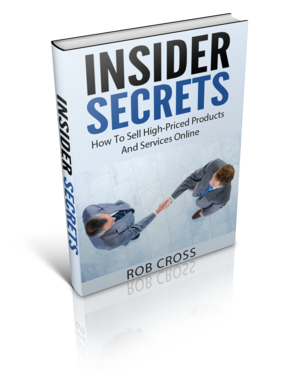 A copy of his critically acclaimed book on CD "Insider Secrets: Finding Affluent Clients Online"
Fee: $3,500 plus $15 per participant.